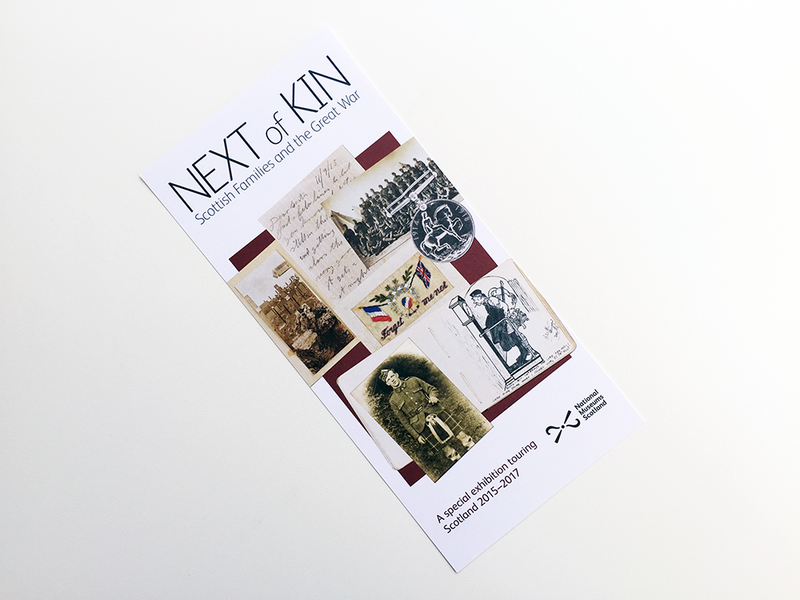 Leaflet designed and illustrated by James Brook for Next of Kin, a National Museums Scotland touring programme commemorating the centenary of the First World War across Scotland through a touring exhibition, learning programme and online resources. 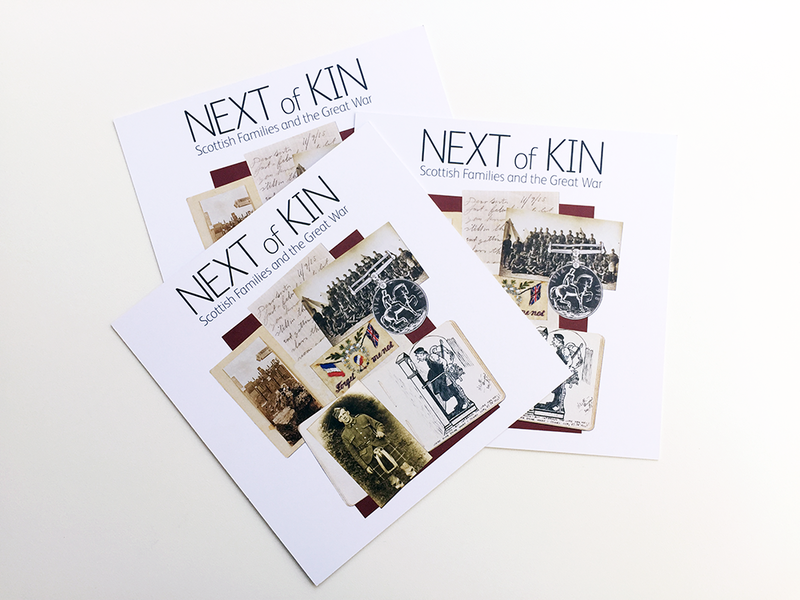 First of a series of invitations designed and illustrated by James Brook for Next of Kin, a National Museums Scotland touring programme commemorating the centenary of the First World War across Scotland through a touring exhibition, learning programme and online resources. 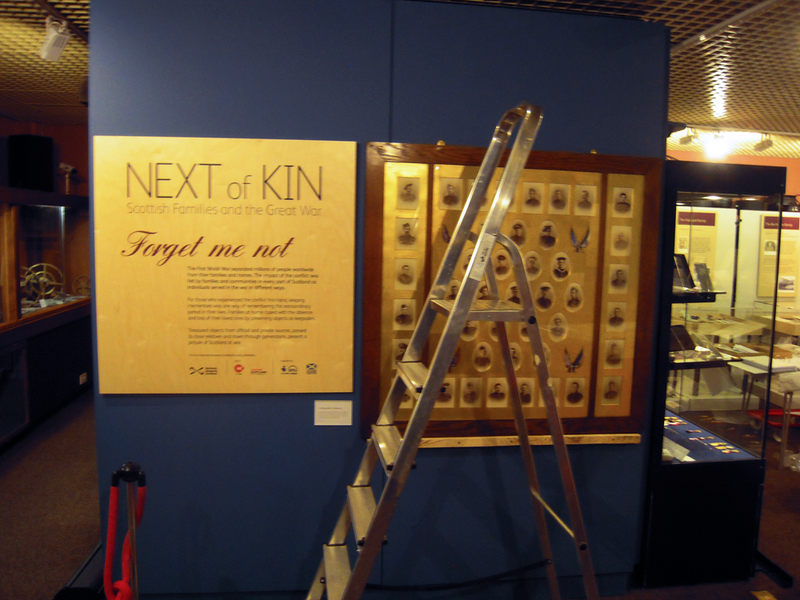 The exhibition graphics that I designed for Next of Kin, a National Museums Scotland touring exhibition, being installed at Dumfries Museum and Camera Obscura, ready for the opening on Wednesday 18 March. 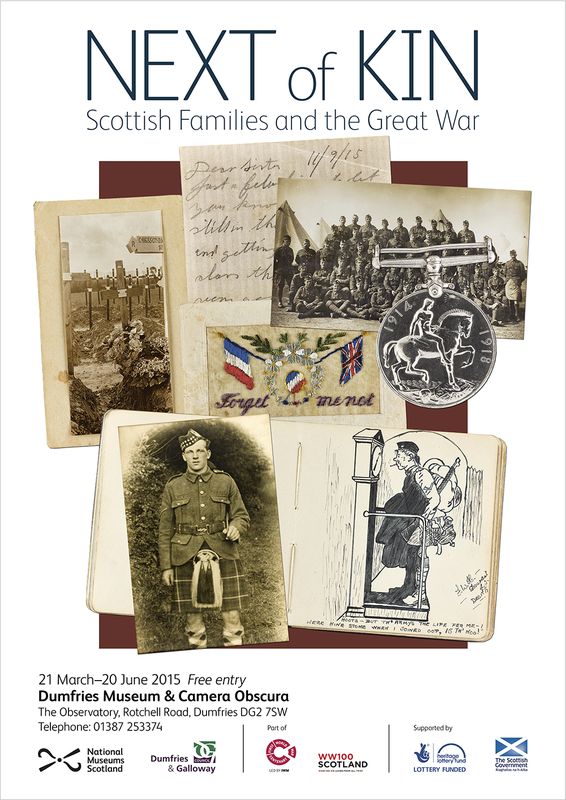 The exhibition is open to the public from Saturday 21 March to Saturday 20 June 2015. 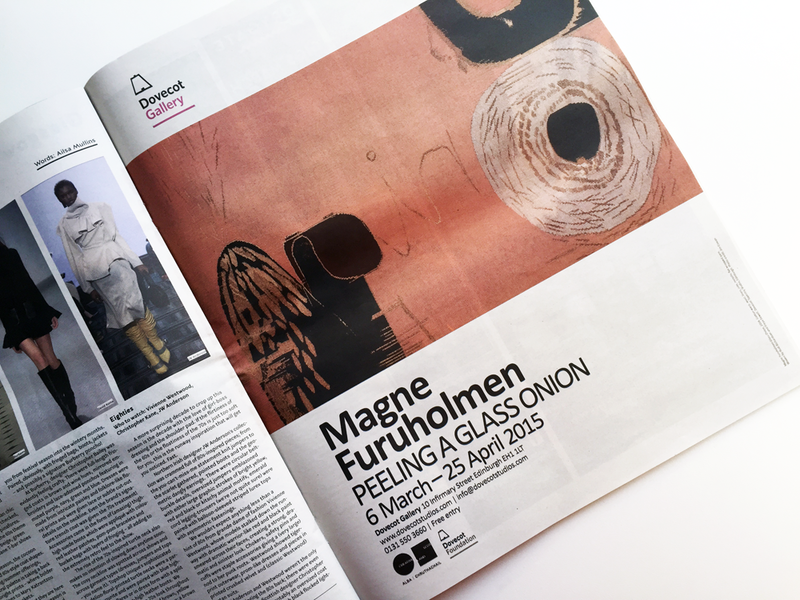 Delighted to see the advertisement that I designed for Dovecot Gallery's Magne Furuholmen Peeling a Glass Onion exhibition in the latest issue of The Skinny, March 2015. Click here to see more of issue 114, the advertisement can be found on page 41. 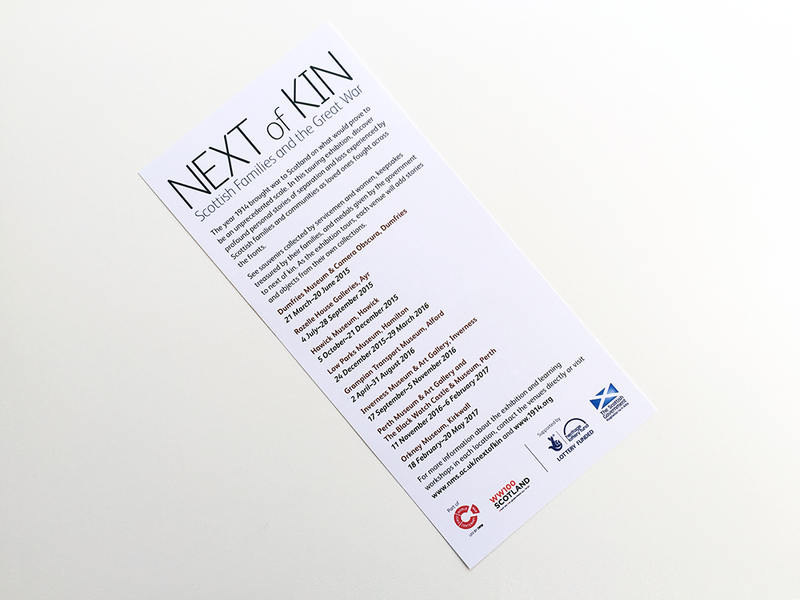 I have also designed a six-sheet poster which can be found on bus stops around Edinburgh - I must track one down and photograph it! 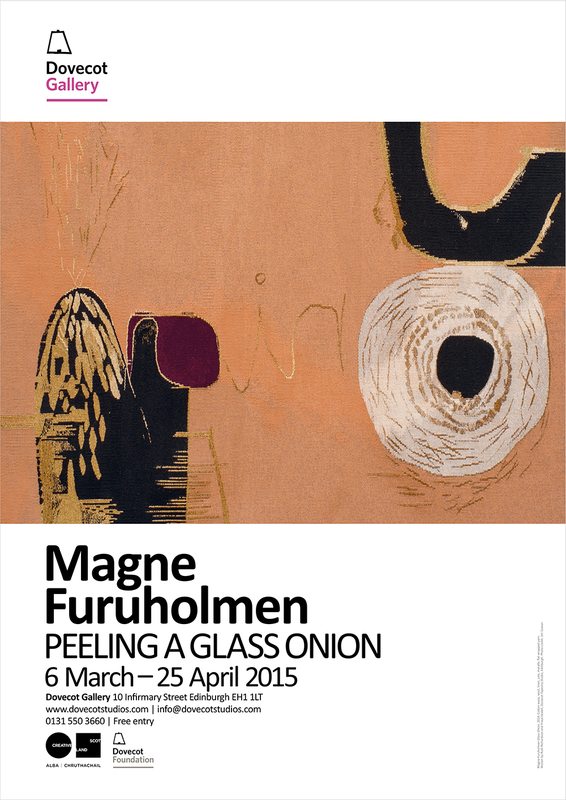 I have been busy designing printed items for Dovecot Gallery's excellent Magne Furuholmen exhibition, Peeling a Glass Onion, which opened on 6 March. 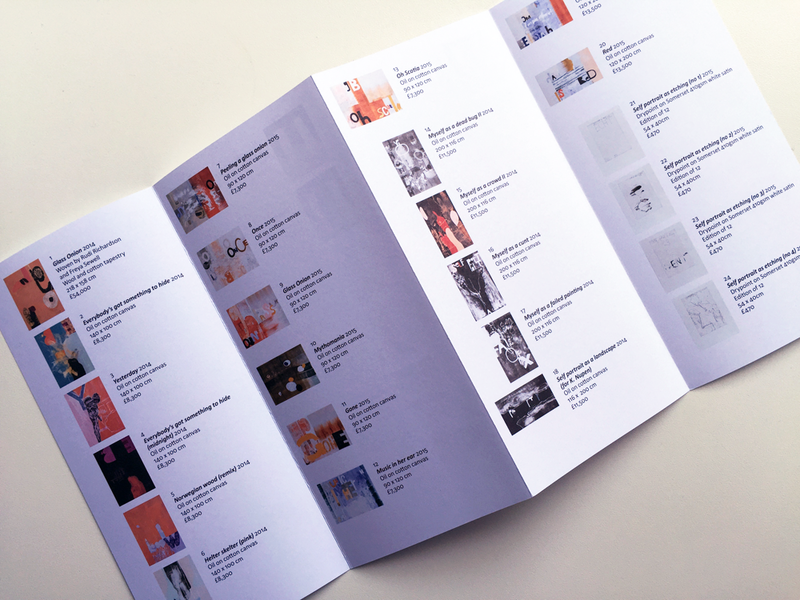 I have designed private view cards, posters, banners, print adverts, and leaflets, all sharing a common identity. The identity is loosely based on Dovecot's new branding guidelines, which include a new suite of logos, a typeface, and suggestions for its usage. I have previously worked with these guidelines for a full-page advertisement for Dovecot Tapestry Studios, in August 2014. 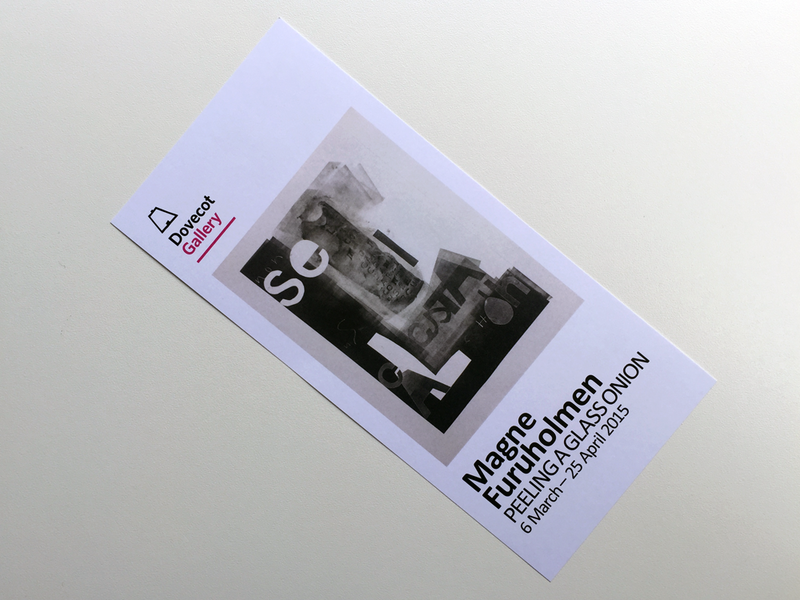 I'm a big fan of Magne's work and love his use of typography in paintings, something that, in my own fine art practice, has preoccupied me for many years. 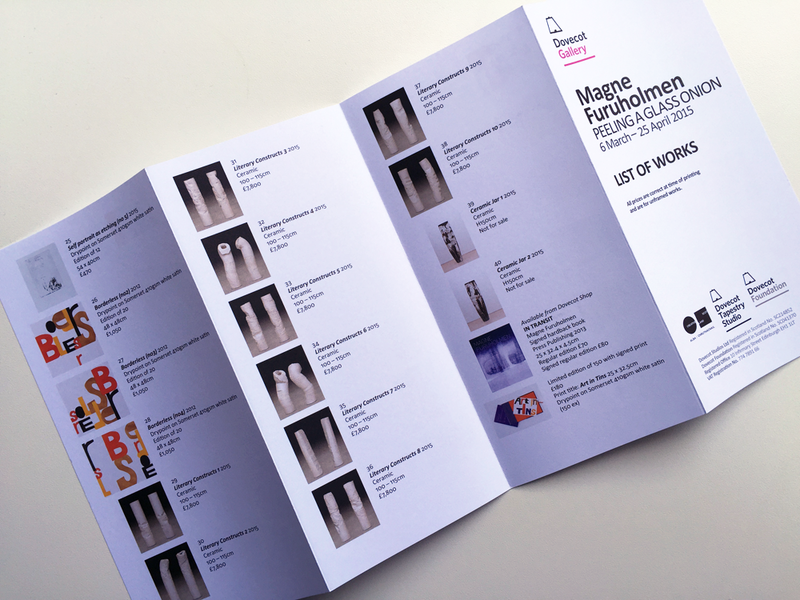 My initial idea was to create a logotype that echoed Magne's playful use of typography, grouping together the artist's name, exhibition title and dates, using multiple sizes of type to create a 'hand-drawn' feel. 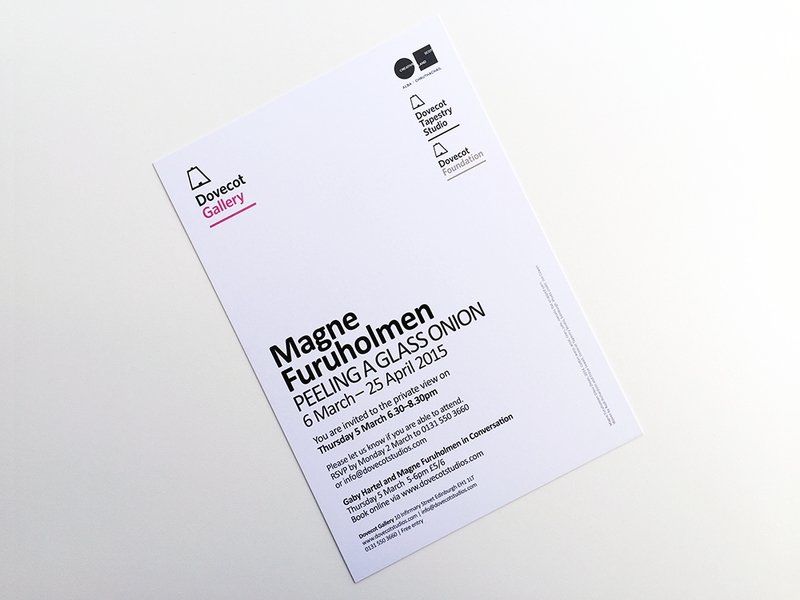 I worked through many iterations, eventually settling on a closely-set combination of Helvetica Neue set in various weights and sizes that, as a group, would become a recognisable 'brand' that echoes Magne's work without pastiching it. 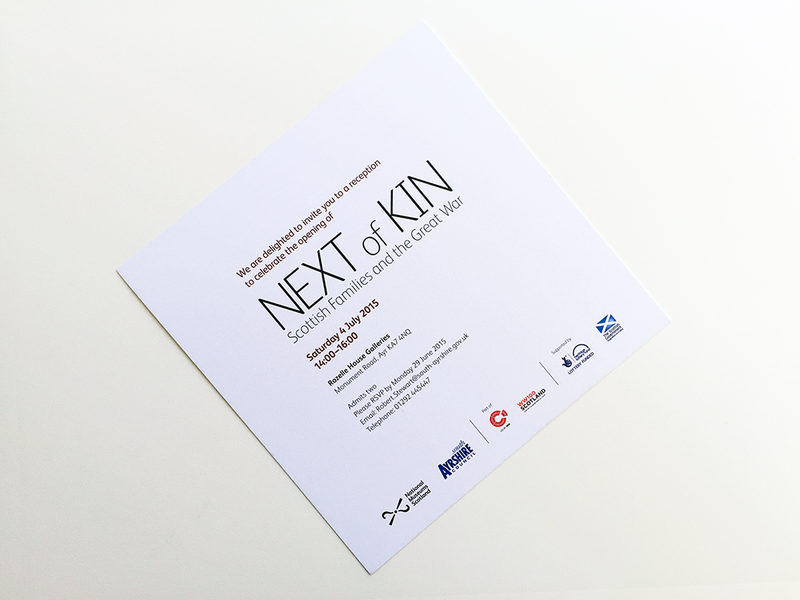 In my previous work for Dovecot I have used Univers and, more recently, Akzidenz Grotesk. Helvetica Neue seemed to suit this project, echoing the letterforms in Magne's work; and, when set with tight leading, the letterforms sat well with each other - particularly the descender of the 'g' and ascender of the 'h'. This logotype was initially accepted by Dovecot but I was then asked to re-work it, using Callibri, Dovecot's preferred typeface. I actually like having some parameters to work with, and, although I was sceptical at first, I re-set the layout in Callibri and was pleasantly surprised at how well the elements of the logotype sat together. With a bit of tweaking we were good to go. 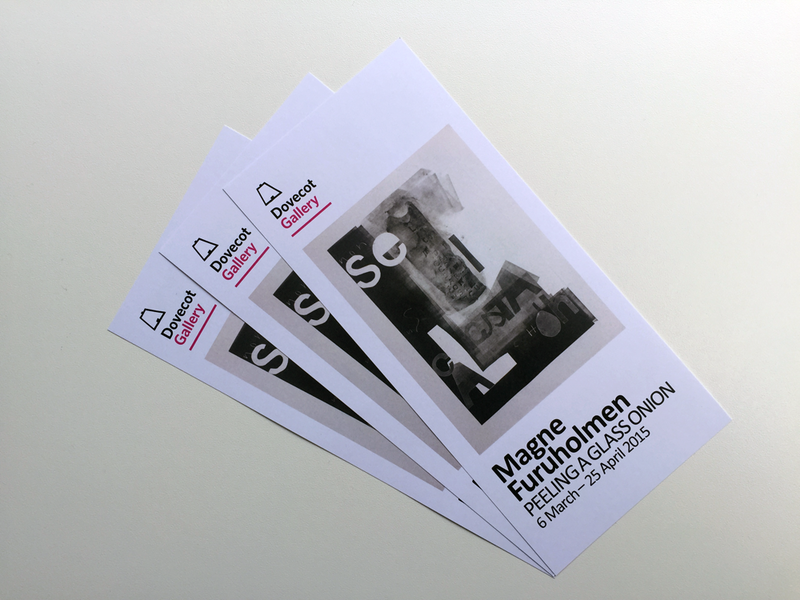 This folded leaflet was actually the last item I designed and had a very short deadline as it was printed just before the exhibition opened. 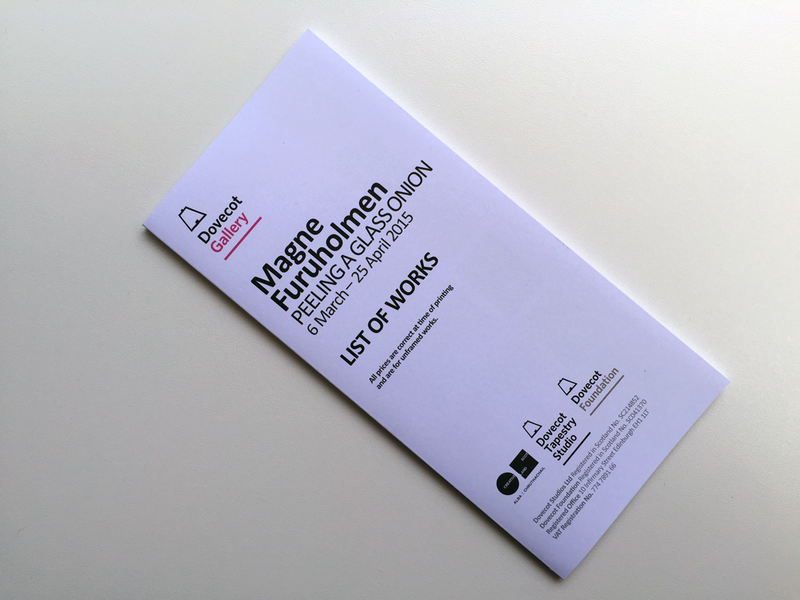 The brief was to create a checklist of works in the exhibition (there are no labels on the walls) that includes titles, dates, materials, dimensions and price - as well as funding logos, charity information etc. The images are presented as thumbnails matched to the grid either by width or height and all given equal weight on the page regardless of size or format. 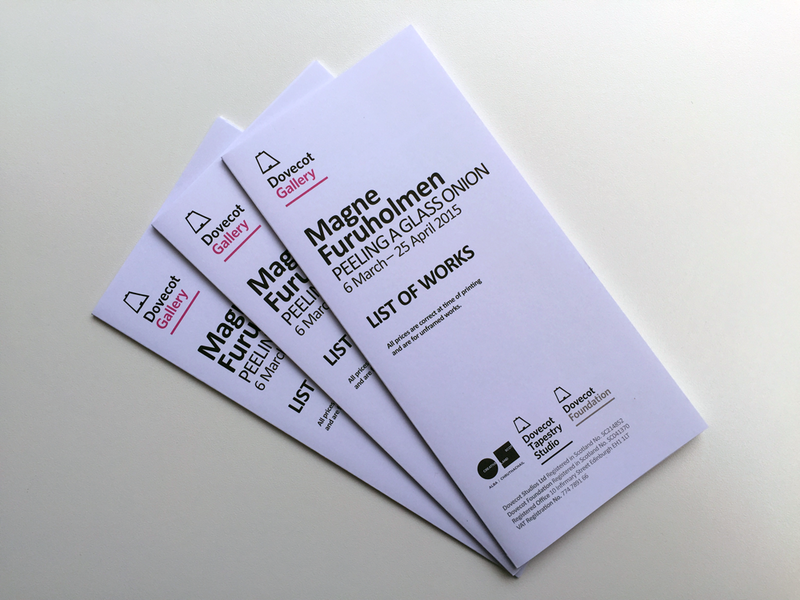 Information about each work is presented as simply as possible in a hierarchy of information, using only one shift of weight and style to highlight the title and with non-aligning numerals to aid the reading experience. 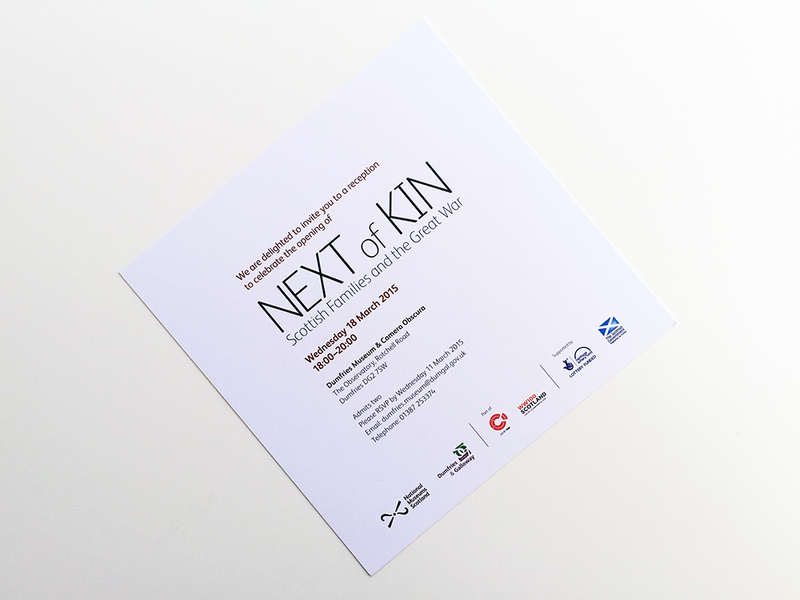 The leaflet was printed by Allander in Edinburgh on 160gsm Vision Superior. 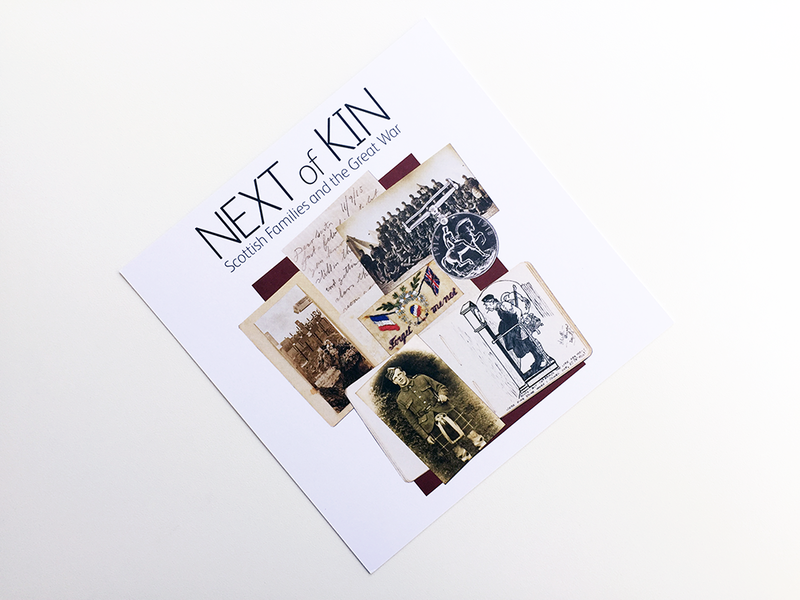 This invitation, with full bleed colour image on front and text on the reverse, formed the basis for the template that I would later use for subsequent invitations that I designed for Dovecot. 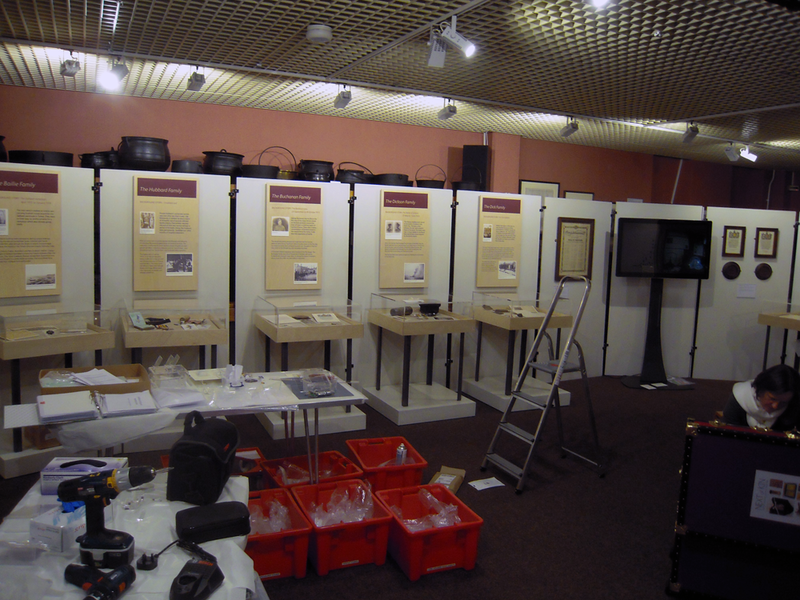 All the textual information is contained in a block at the bottom left; logos are arranged in a vertical strip on the top right; the Dovecot Gallery logo is given emphasis by being placed on its own on the top left. 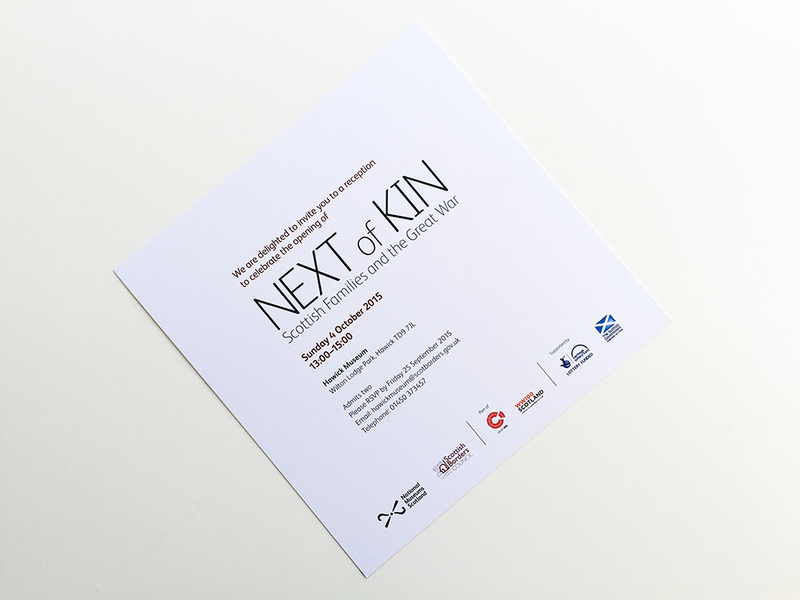 This invitation is typeset in Calibri, used by Dovecot as an approximation of Whitney, the 'offficial' Dovecot typeface. I like the quirky charms of Calibri: but it is a pleasure to work with the range of weights and styles available in Whitney. 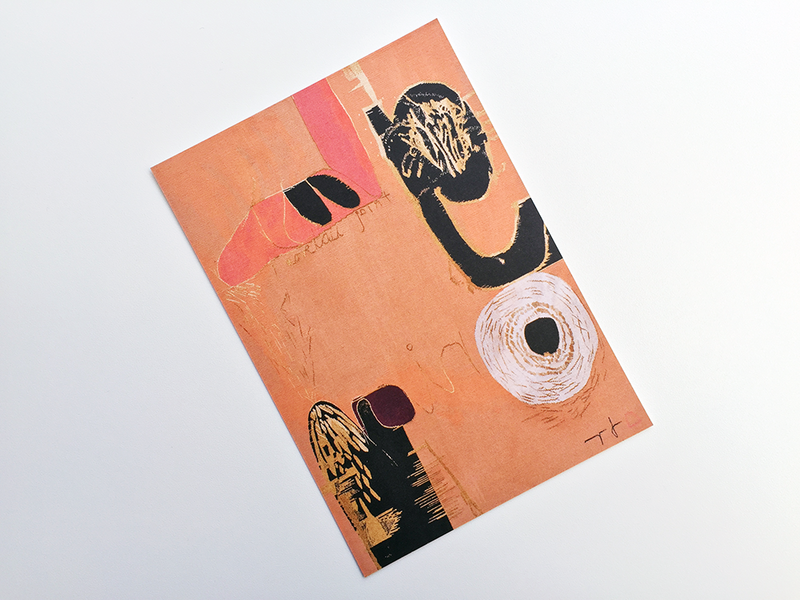 This poster, with its considered contrasting of white space and separation of text and colour image, formed the basis for the template that I would later use for subsequent posters that I designed for Dovecot. 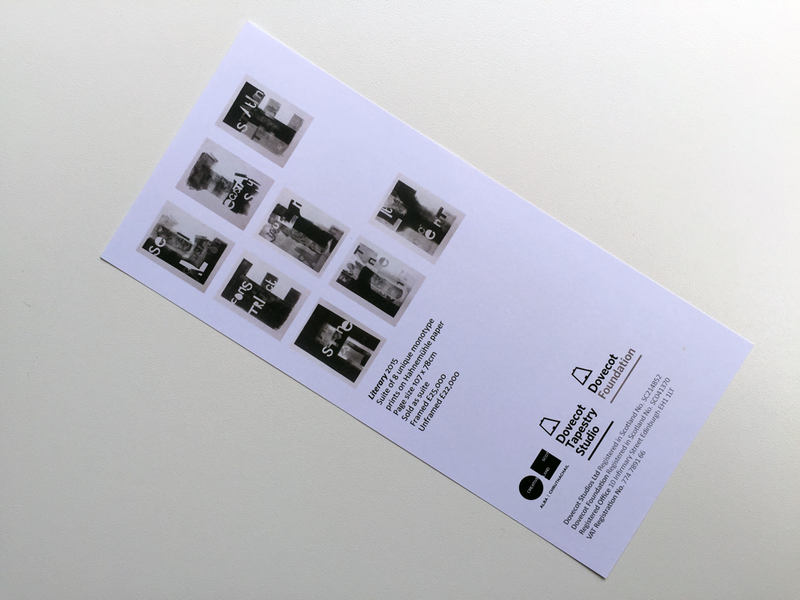 It has an image in a panel running full width across the centre; all the textual information, logos etc, are contained in a panel at the bottom; the Dovecot Gallery logo is given emphasis by being placed on its own in a panel at the top. All text and logos are ranged left. This poster is typeset in Calibri, used by Dovecot as an approximation of Whitney, the 'offficial' Dovecot typeface. In this context, I think Calibri works very well: it's quirky charms are very evident when seen at poster scale.